Gettin’ down to the nitty gritty with the people putting together the t-shirt designs that you love. 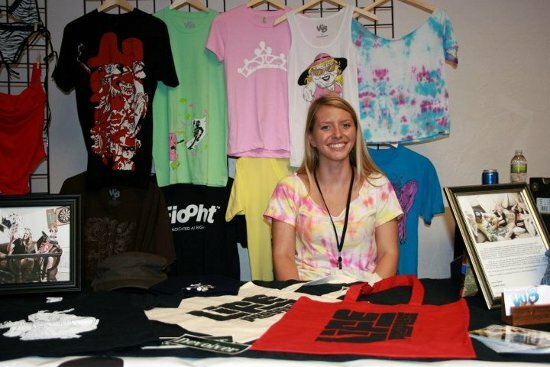 These are the interviews with the shirt shops, tee designers and t-shirt models. My name’s Dave and my shop is GritFX. 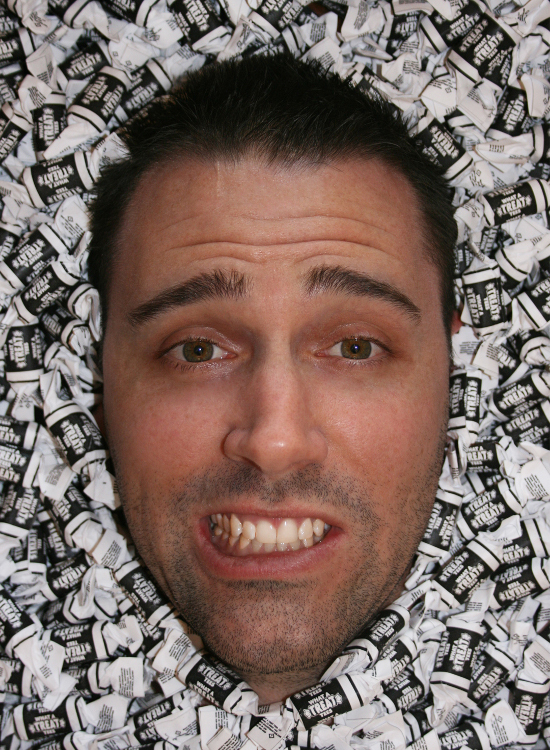 My role encompasses the work of illustrator, graphic designer, coffee-maker and general punching bag. What’s your name, the name of your shop, and your role? My name is Christian Brennan, I am the designer behind What A Treat. I grew up in San Diego and moved up to the San Francisco Bay Area in High School where I have lived ever since. Stealthy Giant. Chris Martin. Owner/Designer. How did you come up with the name Stealthy Giant? I’ve been called this before by some of my so-called friends on account of my height, (6ft 4in), and that I have a knack of slipping into pubs, parties and general social gatherings without anyone really noticing. There was definitely something about the nickname that seemed to fit with my website. It’s also a bit of an oxymoron and you just can’t beat a good old oxymoron. 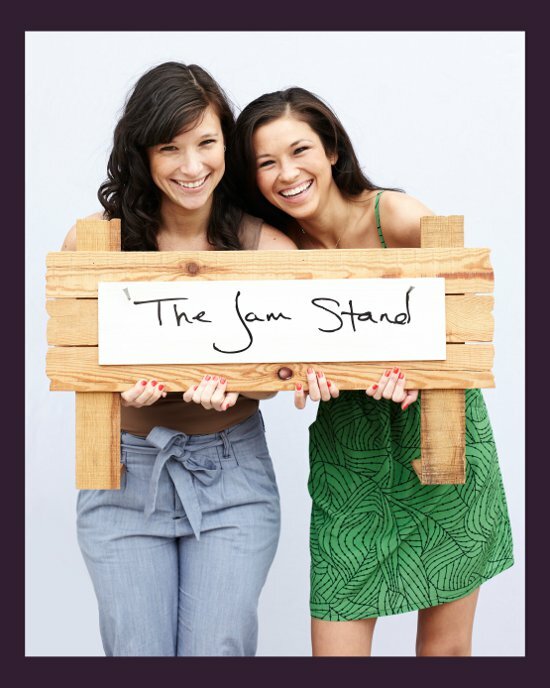 I had to interview Jessica Quon and Sabrina Valle together, because they are inseparable it seems. They went to college together. Moved to New York together. Modeled at Busted Tees together, and started a business together. Now, they’ve done the famous Tshirt Groove model interview together. I’m Brian Kelley, and I design and screen print shirts for Choke Shirt Company. 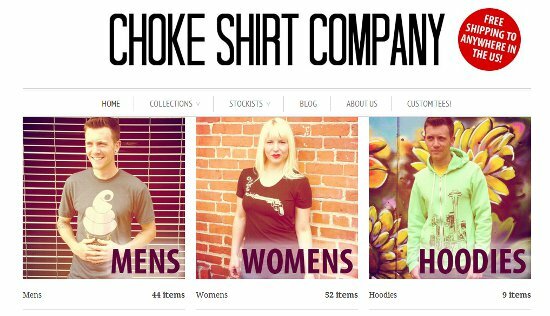 Why the name Choke Shirt Co? “Choke” doesn’t really have a special meaning. We just thought it would be easily recognizable and have an impact. How long have you been modeling for Busted Tees? How did you get the gig with Busted Tees? I went to high school with some of the Busted guys, so I kind of got grandfathered into it. I even had a crush on one of them so imagine the schoolgirl excitement here. What’s the name of your shop, your name, and your role? Amy Fiedler and I’m the president/owner, creative director & designer of all things Winky Boo. I own & operate everything myself. I would say about a year, maybe a year and half now. 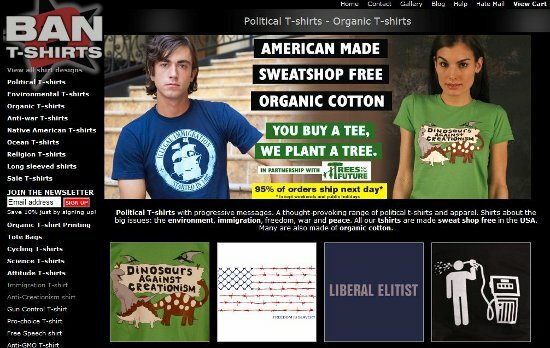 The shop is called Ban T-shirts, I’m Duncan Carson and I design about 70% of the shirts, I designed the site and I do all the promo. Our shop is called laFraise.com, I am Nathalie and I am the marketing manager. I am specialized into PR & Community Management. What’s the name of your shop? I’m going to go out on a limb here and guess that you love classic literature. Is that true? yeah, i have been a heavy reader since i was 16 and when i decided to do a clothing line almost 5 years ago, i decided i wanted to have a theme that was something i was truly interested in so i didn’t get bored quickly. What’s your name, and the name of your shop? 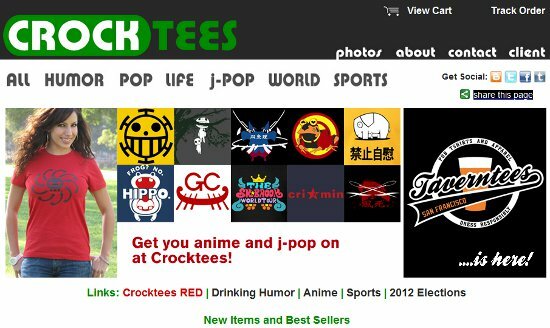 Where does the name Crock Tees come from? Honestly was looking for a name that was unique and not taken. After much deliberation, i.e. random thoughts, came up with Crocktees. 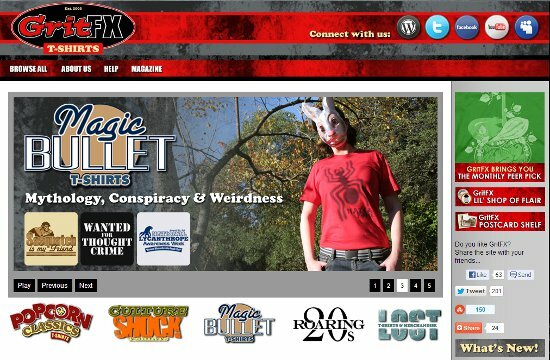 The shirts are all in fun and a bit of a crock anyhow so figure the name suited the site well!